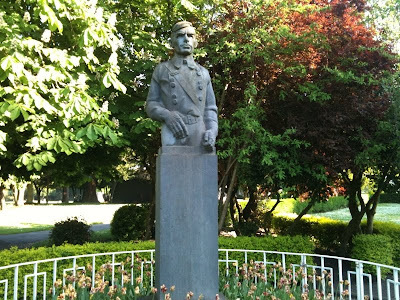 I came across this statue of Sean Heuston while walking through the Phoenix Park recently. I had never seen it before. Sean Heuston, whom the near by railway station is named after was a 25 year old Captain in the Irish Volunteers who was executed by the British for his role in the 1916 rebellion. Belgium: The German Army annexes the East Belgian towns of Eupen, malmedy and moresnet. Berlin: The German Navy reports to Hitler that the number of landing crafts required to invade Britain are being assembled and that an invasion could be launched by mid September. Dover. On this day 70 years ago a vicious dogfight occurred over the skies of Dover. 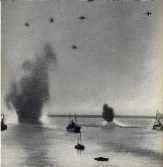 Dover Harbour itself was heavily bombed. RAF Spitfires and Hurricanes tore into the German formations of Messerschmidt's and Stuka dive bombers shooting down 12 aircraft, mostly Stukas, the vulnerabilities of which are becoming clear. The image on the left captures part of the Dover dogfight whch took place at "Hell Fire Corner". 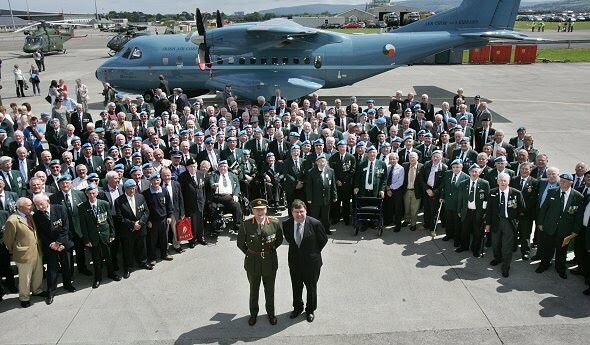 This weekend marked the 50th anniversary of the Irish Army's first participation in a UN Mission. 1400 troops were deployed to the Congo in order to stabilise the newly independent country which was in danger of breaking up due to the separatist movement in Katanga province. Over 6000 troops would serve there over the next four years. 26 soldiers would die in combat, nine of them in the one incident. This incident, known as the Niemba ambush occurred just three months into the mission. A squad of 11 men were ambushed by hundreds of Baluba tribesmen. The two survivors reported harrowing detail of murder and mutilation. Since the Congo, The Irish Army has sent troops to Cyprus, Sinai desert, Lebanon, East Temor, the Balkans and more recently Liberia and Chad. In all 84 Irish soldiers would loose their lives fighting on UN missions. The Irish Army was founded in 1922 after the Anglo Irish Treaty. Its first duty was to fight their old comrades who believed that the treaty was a sell out. In this 11 month civil war the New Irish Army comprehensively defeated the IRA, something which the British had failed to do in two and a half years. The Irish Army led by men such as Michael Collins, Richard Mulcahy and Sean MacEoin had one major advantage. As former leaders of the IRA they knew how and where the irregulars operated. However the new army's reputation suffered from allegations of atrocities in the final weeks of the Civil War as the conflict descended into vicious guerrilla war, mainly in Co Kerry. The most controversal incident occured in Ballyseedy co Kerry where nine republican prisiones were killed it what was probably a deliberate retailition for a previous attack which killed five soldiers. 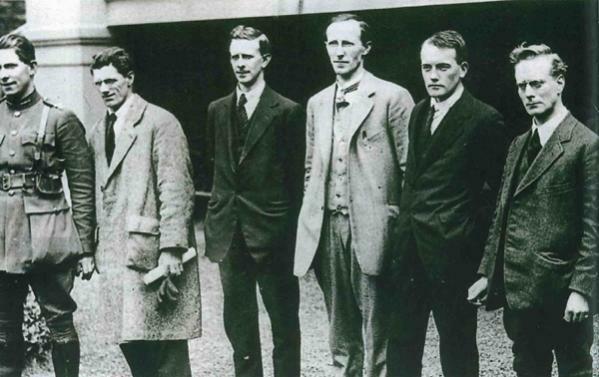 This truly remarkably picture shows the IRA leadership meeting in March 1922 in an attempt to avoid a civil war. Within a very short time these men would become bitter enemies. From left to right: Sean MacEoin (pro Treaty), Sean Moylan (anti treaty), Eoin O'Duffy (Pro Treaty), Liam Lynch (anti Treaty), JJ O'Conell (pro Treaty) and Liam Mellows (anti Treaty). MacEoin and O'Duffy would both become leading generals in the prosecution of the war. Lynch would become Chief of Staff of the anti Treaty IRA and Mellows would lead the attack of the four courts which would trigger the outbreak of hostilities. Lynch and Mellows would both lose their lives in the conflict. At the end of the Civil War the Irish Army numbered 55,000. The new bankrupt state could not afford to maintain such a large army so plans were put in place to reduce it in size to 20,000. This massive demobilisation caused friction particularly among the officers and in March 1924 an incident occurred at the Curragh that cold be described as an attempted coup. However the civilian authorities succeeded in maintaining control of the army in what was a crucial moment for Irish democracy. A lasting effect of the demobilisation was that Ireland was destined to be a country with a small military. I believe this is a great pity as the Armed Forces could be the source of great pride and tradition as is the case in many other countries. The Irish Army increased in size during the Second World War (or "the emergency" as it was known in Ireland) for fear of a German or possibly even a British invasion. Ireland remained neutral during the war in what was seen as a test of its independence. It passed that test however many feel, myself included that a glorious opportunity was missed to join the International community in the fight against Nazi Germany. While Irish neutrality has always been based on the fact that you don't enter into military alliances with a nation with whom you have a territorial dispute with, Ireland nevertheless could have joined the war effort after the Americans had entered the arena. Not only was there a moral obligation to fight Nazi Germany but had Ireland done so the country would not have missed out on the post war boom that the rest of the western world enjoyed. Ireland was isolated after the war. We were not even permitted to join the Untied Nations until 1955. 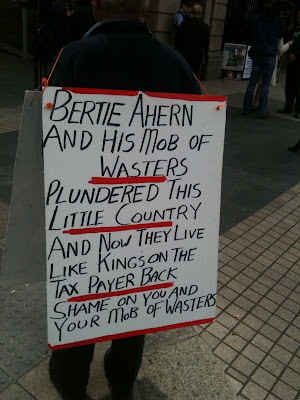 The 40s and 50s turned out to be a time of poverty and emigration for Ireland. 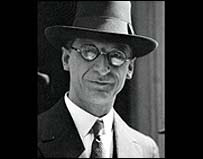 Eamon De Valera had a very strict and rigid interpretation of Irish neutrality during the Second World War. The deployment to the Congo marked the army's coming of age in the modern era. The aforementioned Niemba ambush is the most well known incident from our time in the Congo mainly because of the heroic last stand nature of the battle. 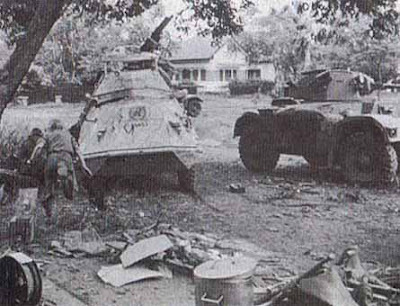 Hoverer Irish soldiers were involved in a much larger engagement in Jadotville in September 1961. The siege of Jadotville took place during the UN offensive into Katanga province to prevent break away Prime Minister Moise Tshombe from consolidating his position in Katanga. During the operation a UN base in Jadotville consisting of 156 Irish Soldiers from A Company 35th battalion was attacked by approximately 3000 Katangans, mainly Baluba tribesmen led by White Katangans and other white mercenaries from Belgium, Rhodesia and South Africa. A fierce five day battle raged. Well dug in Irish troops inflicted approximately 800 casualties on the enemy with perhaps as many as 300 killed. There were no Irish fatalities although seven men were severely wounded. The battle did not end well for the Irish. After five days of fighting the isolated Irish battalion ran out of ammunition and food. A Battalion of Swedish troops attempted to reinforce them but were bombed by a Katangan Fouga Magister Jet. The Irish Battalion was forced to surrender. Although it is generally accepted by historians that the Irish troops were badly let down by their UN masters and that the troops themselves were blameless, there was a certain amount of shame attached to the surrender. Those involved did not get a heroes welcome upon their return. Their commander, Commandant Pat Quinlan in particular was blamed even though many credit him with eventually bringing all 156 soldiers home. It was not until 2004 that a thorough military investigation cleared all the soldiers of any wrong doing and the appropriate medals were awarded accordingly. When the Northern Irish troubles broke out in 1969 the Irish government became reluctant to send troops overseas in large numbers for fear they would be needed at home. I know many people who have served in the army and most say that of all the places they served, none was as tense as the border with Northern Ireland. However, in 1978 Ireland contributed to the UN mission to southern Lebanon by sending an Infantry Battalion. A Battalion would remain there until 2001. The Irish forces would lose 47 personnel in the 23 year mission, most to IED's and roadside bombs. As of the 1990s the Irish Defence Forces went through an intense modernisation process which saw it eventually being equipped in a manner that would rival any modern European Army. This was seen most notably in Liberia which in my opinion was one of the most successful UN missions. The large UN force of 20,000 were given an aggressive mandate to confront rebel forces. The UN successfully stabilised the country and oversaw the transition to democracy which ultimately saw Afircas first female head of state elected. 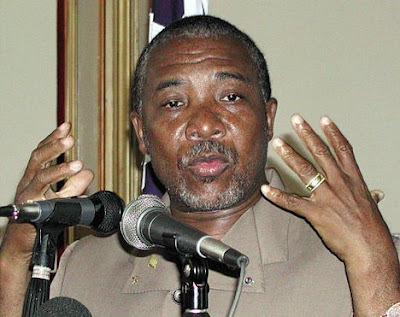 Furthermore, the psychotic former President and mass murderer Charles Taylor was arrested and is currently before the International Criminal Court in The Hague. The Irish Army played a significant role in his capture. Charles Taylor was one of Africas most brutal war lords and dictators. He commited unimaginable atrocities in his country during his 1997 to 2003 leadership. Under pressure from George Bush who was meeting Nigerian President Olusegun Obasanjo at the time, the Nigerian authorities arrested Taylor and deported him back to Liberia. He was arrested by Irish Soldiers at Monrovia Airport who escorted him to The Hague. I am very proud of the Irish Defence Forces. However I am not naive. We have a permanent defence forces of less than 11,000 personnel. The Air Corps in tiny and the Naval service, while highly professional consists only of 8 coastal patrol vessels. I would one day like to see this change. A large effective military which a country can be proud of is good for a nation. In reality we do not have many defence concerns and you well might argue that a larger defence forces is not necessary. However the military is an example of where people give something back instead of the "what has the state ever done for me" attitude which seems to dominate nowadays. I would go so far as to be in favour of conscription of some sort. Other neutral countries like Switzerland and Sweden do so. It would do the many delinquents of this country no harm. Do something for the state first, then maybe you can start asking questions of it. In the meantime I look forward to observing and commenting on many more worthy Irish UN missions. I think you will all enjoy this ! 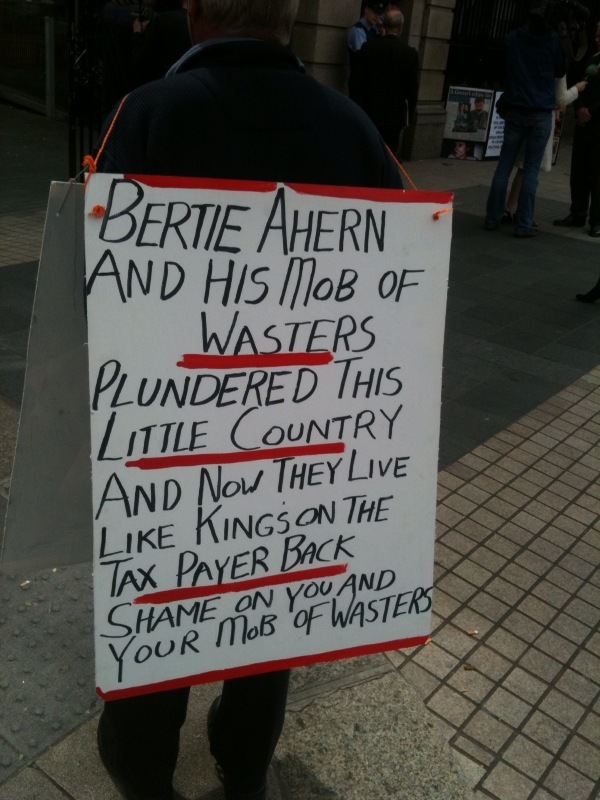 I saw this poor disillusioned punter outside the Dail yesterday ad I had to take a snap. The Ground Zero Mosque, Is it a Jihadist attempt to build a Mosque on a sacred American site or is all bluster about nothing. Sarah Palin made her feelings clear in this controversial tweet. Others in the GOP clearly feel the same. Watch this ad to see ! Most people think that the closest the world ever came to nuclear war was the Cuban Missile Crisis. Maybe, but maybe not. Who has ever heard of Zhenbao Island on the Ussuri River. The Ussuri river in the far east marks the border between China and Russia and in March 1969 the armies of the USSR and Red China fought a brief but fierce battle over Zhenbao island in what I think was the only conventional military engagement between two nuclear powers. The battle in which 68 Chinese soldiers and 31 Soviets were killed marked the climax in the deterioration of relations between Moscow and Beijing that began after the death of Stalin in 1953. Americas greatest fear was realised in 1949 when China went communist. A grand communist alliance was forming between the vast nations of China and the USSR. 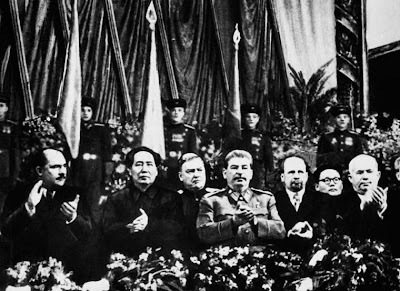 It appeared doubtful that the west could contain such fanatical hoards led by monsters like Stalin and Mao seen here together at the Kremlin in 1950. It was the sight of these two men together that prompted much of the 1950s red scare especially since many suspected that leftists in the US state department and elsewhere had favoured non intervention in the Chinese Civil War. However the Moscow Beijing Alliance was not as strong as most had feared. It would ultimately prove, much to the satisfaction of those who stem from the Henry Kissinger school of International Relations that national self interest would triumph over ideology. There had always been rivalry between the USSR and Red China over the leadership of the communist world. The Kremlin believed that collective urban industrialisation should be the foundation of a communist state where as the Chinese favoured the agricultural model. These divisions remained under the surface until the death of Stalin in 1953 and in particular, until Premier Kruschev's de-Stalinisation programmes that began after he came to power in 1956. It was during this time that the Chinese began to accuse the Soviets of abandoning communist ideals of world revolution in exchange for co existence with the capitalist west. The two powers soon began to broaden this ideological divide to their allies. The Chinese supported the anti Soviet communist government in Albania where as the Soviets weighed in behind the North Vietnamese who were traditionally hostile to the Chinese. Words became war in 1969 in the wake of unrest in the Chinese Muslim province of Xingjiang (remember this from last year) where the Soviets were accused of fomenting violence among the ethnic Uyghurs. Both sides decided to seize this moment to raise a century old dispute over the border. On March 2nd 1969 Chinese soldiers launched a sneak raid onto the Soviet held island of Zhenbao triggering the brief border conflict. The Sino Soviet split was complete. 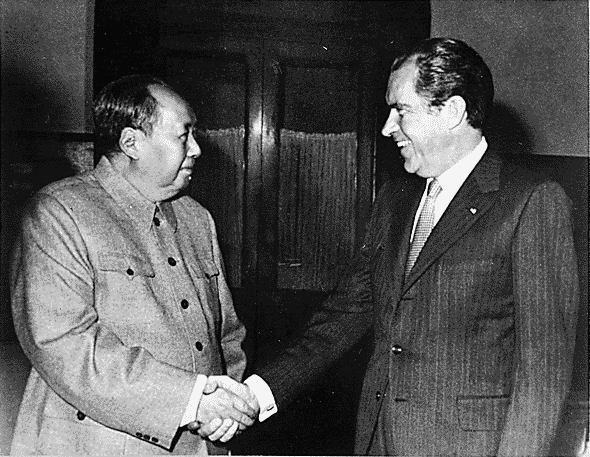 Nixon meets Mao in the wake of China's split from Moscow. For more on the Sino Soviet split have a look at my previous post on the movie The Killing Fields which details the consequences of the split. But suffice it to say, this little known clash on the Ussuri river changed everything. President Nixon, a mere two months in office capitalised spectacularly on the event. He famously opened up to China in 1972 which frightened the life out of the Kremlin who clumsily approached Washington the same year to propose an alliance against China. The events of March 1969 would ultimately weaken both the Soviet Union and the Peoples Republic of China. I believe it is not a stretch to say that what started on the Ussuri ended with the Berlin Wall being torn down. Saturday, Croke Park, Dublin V Armagh. 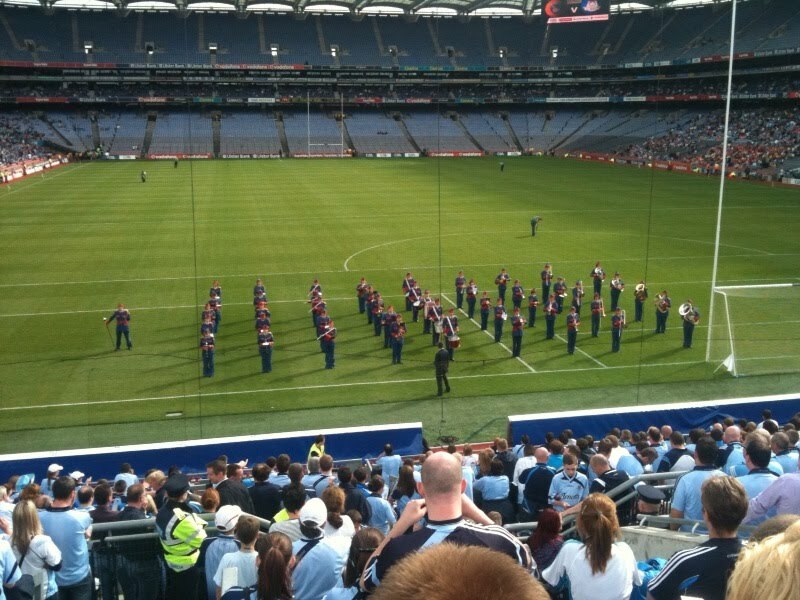 The Artane Boys Band turn and face the Dublin Fans on Hill 16 as they prepare to play Molly Malone in tribute to the capital. Washington: President Roosevelt signed a bill on this day committing the United Sates to a two ocean navy. The bill approved $4 Billion to be spent on over 700 ships in a massive naval expansion that would enable the US to be a major naval power in the Atlantic and Pacific oceans. Berlin: Hitler issues a "last appeal to reason" urging Britain to make peace or face the consequences. Crete: On this day 70 years ago today the Australian cruiser Sydney along with five Royal Navy destroyers sank the Italian Cruiser Bartolomeo Colleoni in a battle off Cape Spada, the north-western extremity of Crete. 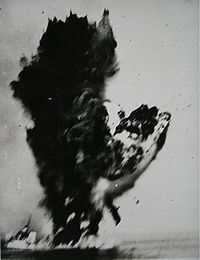 This picture captures the moment a shell from the Sydney hits the engines of the Bartolomeo Colleoni causing it to explode. This Italian ship sank with the loss of 121 lives. Balintubber Abbey in Co Mayo. I attended a wedding last week in Ballintubber Abbey Co Mayo, a unique church where mass has been celebrated uninterrupted for 800 years. Release Jonathan Pollard - Not for me ! I want to clarify something. I do not consider myself an Israel supporter. This is why I do not support calls for the release of Jonathan Pollard, the former US Naval Intelligence officer who was convicted of spying for Israel. I am a supporter of the Irish soccer team and the Dublin GAA team. When Dublin or Ireland are playing I always think the other side are cheating and I always believe the referee is being unfair us. If you support Israel (or Palestinian for that matter) in a similar fashion then you will not be objective. I accept the right of an Arab, Israeli, Jew or Muslim to let their objectivity slip when emotion and passion is running high. However, as an Irish person who has never been directly affected by the conflict I think it is wrong to be anything other than a fair and balanced supporter of the peace process. It is usually the legions of fanatical leftists who are guilty in this respect as they jockey to out do each other and even the Palestinians in their anti Israeli rantings. However they are not the only ones guilty of this. 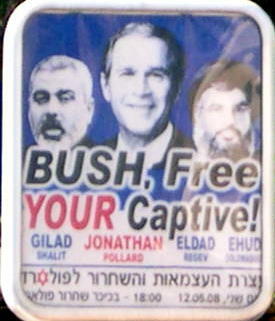 Right wing Israelis compare the imprisonment of Pollard to the terrorist kidnappings of Hezbollah and Hamas. 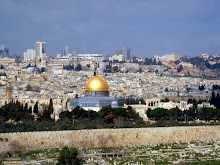 I admire Israel. I admire its culture, democratic institutions and how the civilian authorities have always maintained control over the military despite six decades of war. I respects its right to defend itself, aggressively if necessary. I recognise that it is up against extreme fanaticism and that its survival is vital for the future of the democratic world. But I do not believe it is a saintly country. I do not believe it can do no wrong (like the Irish soccer team). Many Pro Israeli people read Gubu World. I am glad that they do and hope that they continue to do so. But I will not support their renewed calls to have Pollard released that has taken the form of a mass call/email campaign to the Israeli embassy in Dublin. 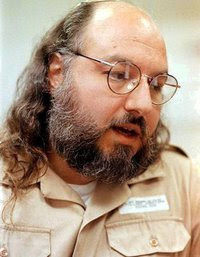 Jonathan Pollard was sentenced to life in prison in 1987 for spying for Israel, South Africa and Pakistan. In 1997 the Israelis finally admitted that he was an Israeli agent. It is not for me to call Pollard a traitor as I am not an American, but if I were, I would. America shares many of its military secrets with Israel, but they do not share everything. This is why the US has many problems with Israeli spies. Israel would have collapsed long ago had it not been for US support so I think to undermine American security through such espionage is ungrateful to put it extremely mildly. I would advise even the most right wing Israeli hawk to back down on this one and to admit that you have no case. But for me, an Irish man, a defender of Israel and supporter of the peace process I say no way, Keep him locked up. I have long been saying that you cannot expect Israel, a state that is so small and has so many enemies to simply withdraw to its original borders and hope that the many Arab states and terrorist organisations do not attack it. This is not a pro Israeli statement, it is a common sense statement. Furthermore, Israel was founded in the wake of the holocaust. It was founded so Jews could protect themselves so they would never again have to rely on the international community to protect them annihilation. It is therefore completely unrealistic to expect Israel to take security out of its own hand and place it the hands of an international body like the UN. In other words Israel will not, cannot, nor should it be expected to withdraw to its original borders until a comprehensive and workable peace deal is reached with the Palestinians. I very much hope this happens. But for Israel to do so without such a deal would be to itself in an exceptionally vulnerable position militarily whilst surrounded by enemies. No, I repeat no sane state would ever do such a thing. In the meantime Israel is entitled to to its own defensible borders. Watch this brilliant video below. It explains with excellent simplicity the security situation that Israel faces and the minimum borders in must secure in order to defend itself. After a long hiatus my Greatest War Movies countdown is back. I had to think long and hard about whether to include this Spielberg classic in my list because truthfully I never liked the storyline that much. I think it takes the American "leave no man behind" ethos to an unrealistic length. I think there is plenty of sap and cringe in the movie that makes some scenes irritating to watch. Having said that, the sheer realism and and the impact that it has had on war movies means that it cannot be left of my list. 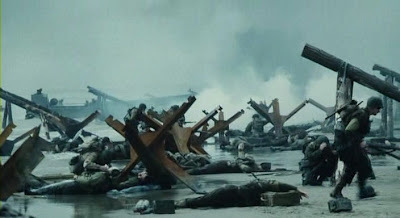 I will never ever forget the atmosphere in the cinema during that opening scene on Omaha beach. There were gasps, cries and wide eyed stares as a cinema full of people collectively had their previous impressions of war completely shattered. At the end of those unforgettable ten minutes, some people had left, others were short of breath and everybody was utterly stunned. This continued right through the movie culminating in the final battle scene which is in my opinion the best most realistic movie scene ever made. Of course nothing can ever get get close to the real thing. But a realistic war movie can make people realise that war is not a game. Good and bad people get slaughtered in war, sometimes in unimaginably horrible ways. We see this graphically in Saving Private Ryan. Who could forget the vicious scene (below) where Private Mellish and a German soldier have a hand to hand fight to the death. Saving Private Ryan takes place during the first ten days of the allied invasion of France in June 1944. The death rate during the first three months of the Normandy campaign were the highest that the western allied armies would suffer during the entire war. It rivaled the death toll seen on the western front during World War One. Saving Private Ryan really reflects this. The movie depicts clearly how survival of the war was based on inner steel, skill and most of all luck. The movie also addresses some interesting moral questions when it comes to war. For example, what should you do with a captured enemy soldier. The answer is surely easy, you take him prisoner and hand him over to the military police. But what if your deep behind enemy lines and there are only 6 of you. Do you really want to have to keep an eye on a Prisoner of War whilst trekking across miles of hostile territory. In the movie, Captain Miller (Tom Hanks) decided to release the prisoner rather than execute him. It seemed like the decent thing to do. But the soldier was picked up by his own side and ended up back in circulation where he eventually kills Captain Miller. I'm obviously not saying you shouldn't take prisoners in war but the movie did very cleverly make it clear to the audience that in war you sometime have to make exceptionally tough decisions. Most of my favourite war movies are about the second World War. Most were made in the 1960's and 70's. Kelly's Heroes, Where Eagles Dare, and The Great Escape to name but a few. However while these movies may come up trumps when it comes to dialogue, drama and storyline, their attempts at portraying the horrors of war are quite feeble. The action scenes are sometime laughable. The kills are clean and the mortar explosions take the form of exploding sand bags that actually look like fun. If you get shot in these movies you usually get a chance to make a little speech before you head off to the next world to the sound of patriotic movie. Saving Private Ryan changed war movies forever and for this reason I a feel compelled to put it down as my fourth favourite war movie of all time. 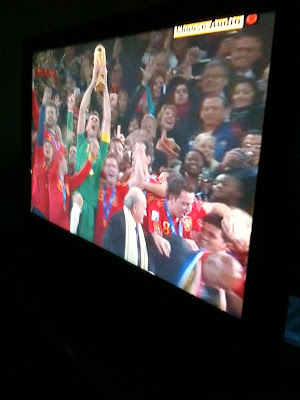 My view of Spanish Captain Ikar Casillas lifting the Jules Rimet trophy for the first time. I must apologise for my lack of posts lately. I have been exceptionally busy over the last few days. And I am now on the way down to Westport Co Mayo to celebrate a friends wedding. 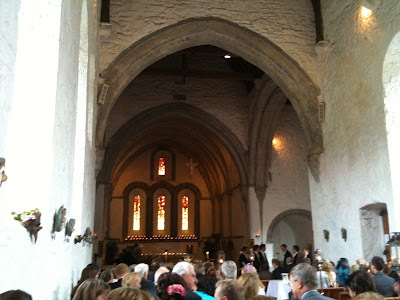 And believe it or not I have a second wedding to attend on Saturday in Co Cavan. I will be back posting on Monday. I have lots of stuff in mind. The Obama Netenyahu relationship for one. Anyway, enjoy the World Cup final, I'm going against the bookies and backing the Dutch. See you Monday. To my American readers. Hope you enjoyed yesterday's 4th of July celebrations. Here is my little tribute to the US. Love the graphics and the music (Hooked on America) in this video. Enjoy ! The problem with blogging as any blogger knows is time. We all have things going on in our own lives and finding the time to write something daily and respond to the comments is a real challenge. My blogging over the past ten days has been particularly sporadic with no pattern of note. Sorry, but it couldn't be helped. However if you keep an eye on my twitter page to the right hand side of the screen, I will keep my readers informed of the predicted timing and topic of my next post. Hope this will do. In the meantime, enjoy this video of the England fan who doesn't quite get his way against the Germans. This photo was obviously not taken by me, hence the slight chance in post title. What a brave brave woman. I received this picture in an email entitled Woman of the Year. I agree !